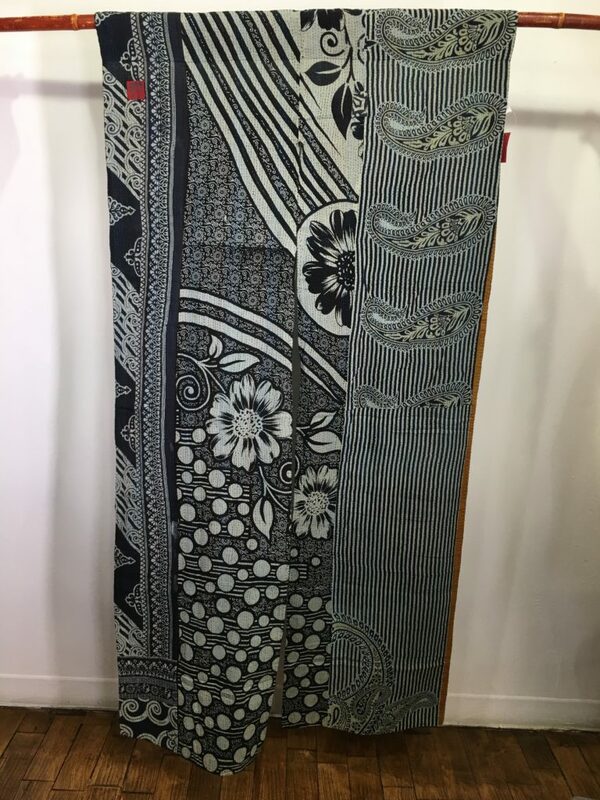 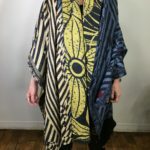 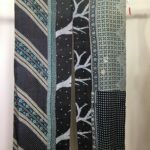 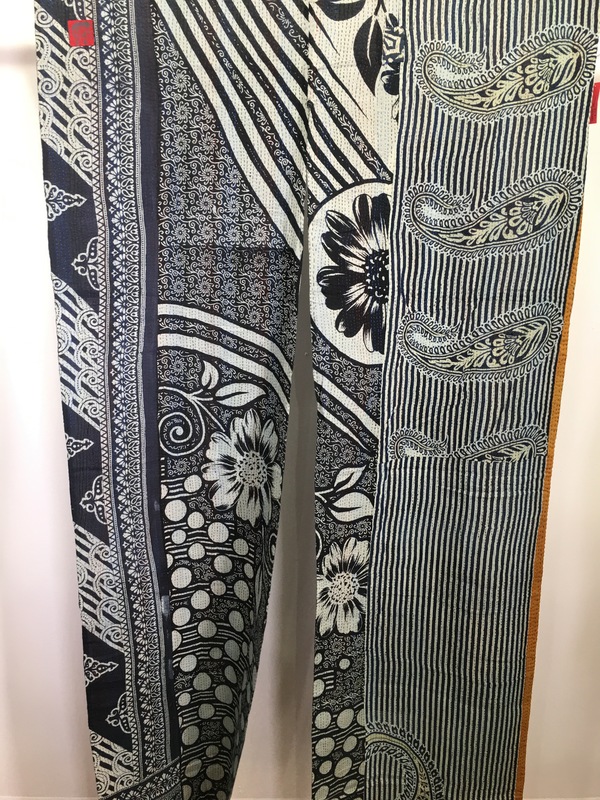 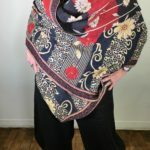 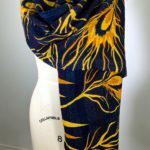 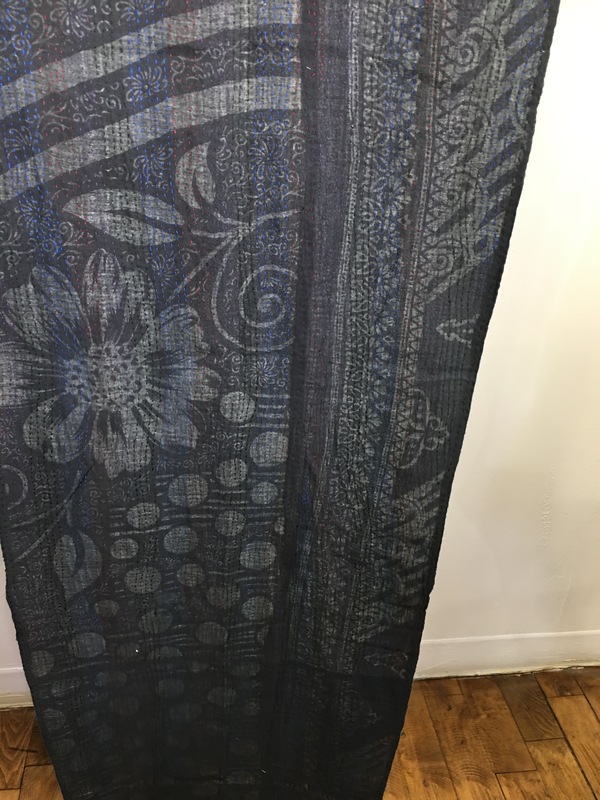 Our Cotton Kantha Noren made from vintage India Sari are designed by our friend Mieko Mintz, and are reversible like her vests and scarves, with an A Side and a B side. 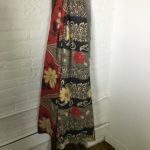 Noren are Japanese “curtains” that are designed to hang in a doorway, in a front hallway, or work as a room divider but they can also be hung directly on the wall. 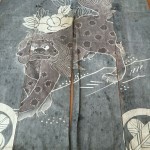 In Japan Noren are made so that they separate in the middle, providing a space a person can walk through. 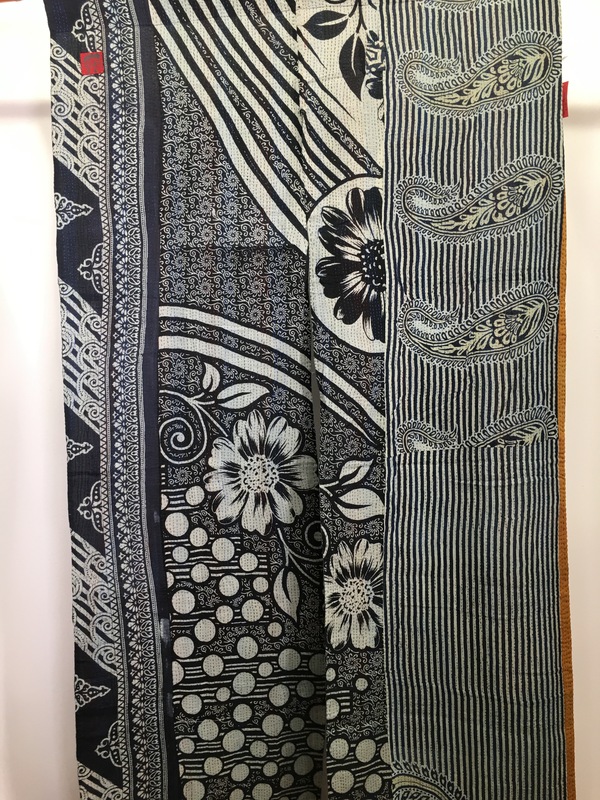 Our Kantha Noren are long enough to also function as curtains of a sort, although they are all one-of-a-kind, with no two matching patterns.